'Split surprised me, but I don't feel I was humiliated.' MK Tzipi Livni speaks out after Labor chief ends alliance without warning. Hatnuah chairwoman Tzipi Livni ripped Labor chief Avi Gabbay Wednesday morning, a day after he abruptly ended the alliance between their two parties. On Tuesday morning, Gabbay announced publicly that he was ending the Zionist Union, a joint list of Labor and Hatnuah, which was formed ahead of the 2015 election. Gabbay gave no prior notice of his plans to either Livni or fellow Labor members, leaving Livni stunned as she sat next to him during his Tuesday announcement. Livni, who was caught unprepared by the announcement as she sat next to Gabbay, quickly left the room after Gabbay spoke, declining to offer a response. 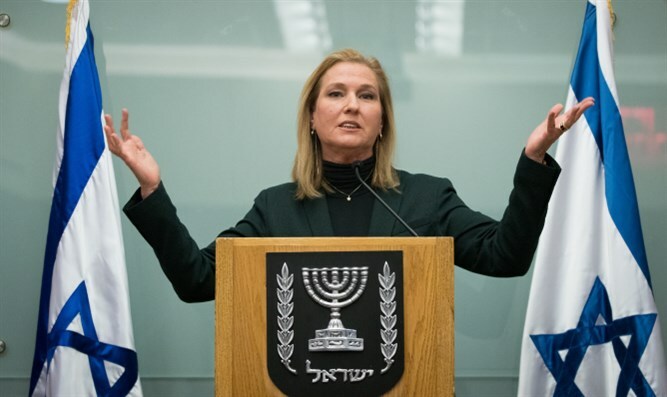 On Wednesday, however, Livni spoke out on the sudden termination of the Zionist Union, saying that while she was shocked by Gabbay’s sudden announcement, she did not feel humiliated. “I’m surprised, but not humiliated,” Livni said during an interview with Yediot Ahronot. In a separate interview with Army Radio, Livni attacked Gabbay, saying the Labor chief for lacking a strong ideology, and calling him unfit to serve as premier.